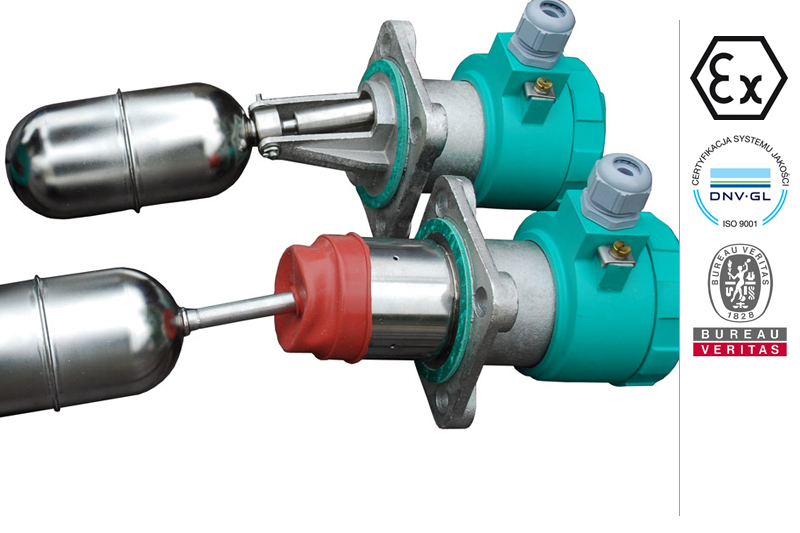 Level switches - APLISENS S.A. - Pressure, flow, level, temperature measurement. Level signalling of the medium having minimum density 0,70 g/cm3. 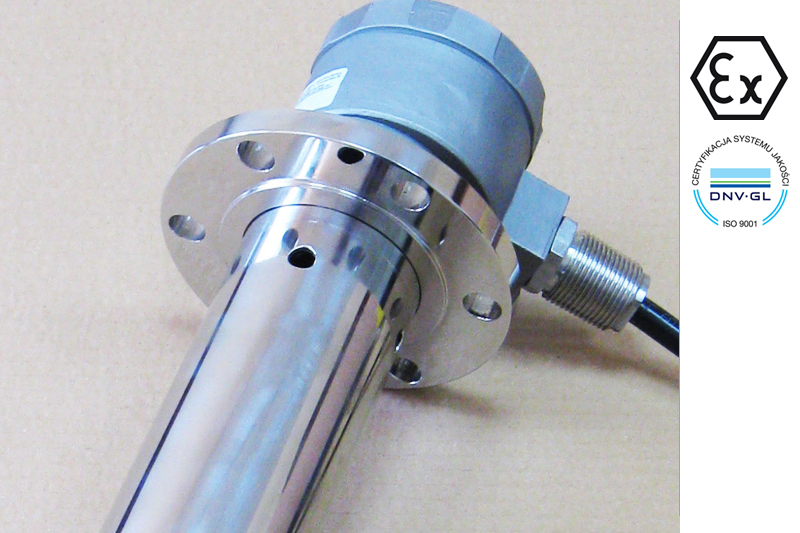 The basic version, mounted from the top, is available with 92x92mm flange connector, head made from aluminium alloy and M20x1,5 cable gland with casing protection degree IP68.